You’ll be amazed at what we can do with special shapes and colors to enhance and highlight architectural features within a home. Custom Shutters provide directional light control from ceiling to floor or from left to right depending on louver orientation. 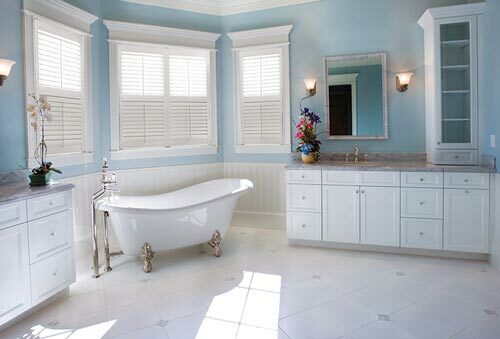 Lafayette Custom Shutters aren’t just your classic traditional shutters. 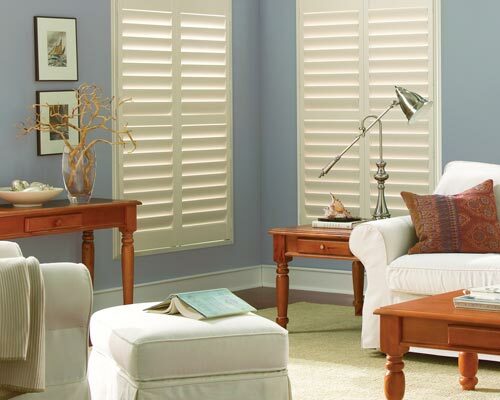 Woodland Harvest® Custom Shutters are manufactured in our state of the art facility with premium select hardwoods in nearly any size and shape. UV inhibitors in our finish helps resist color fading and yellowing even in the hottest windows and our water based paints are environmentally safe in your home. Why invest in a product that you’ll have to refinish in a few years? 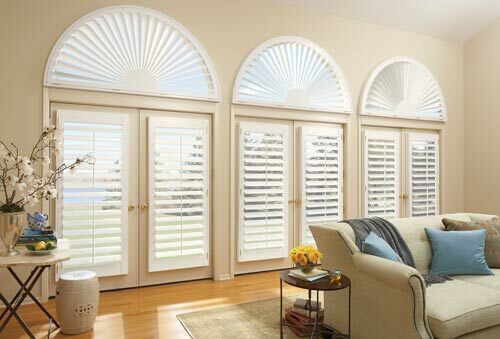 Protect your investment with Eclipse Shutters! 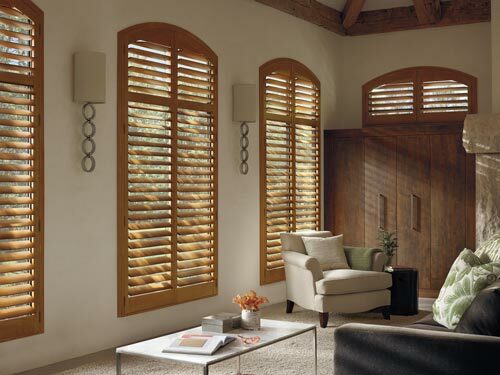 Technological advancements have combined the durability home owners desire with the look of wood to achieve the ultimate window treatment: Eclipse Shutters with Ultra Satin finish. 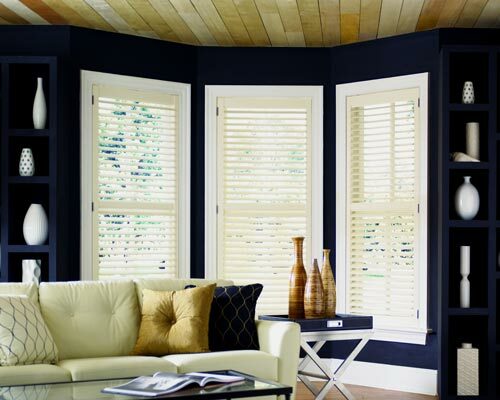 Eclipse Shutters with Ultra Satin finish will add sophistication and elegance to your windows. They will last for many years with minimal care. These reasons are why Eclipse Shutters have been the number one selling plantation shutter in North America for over 25 years.